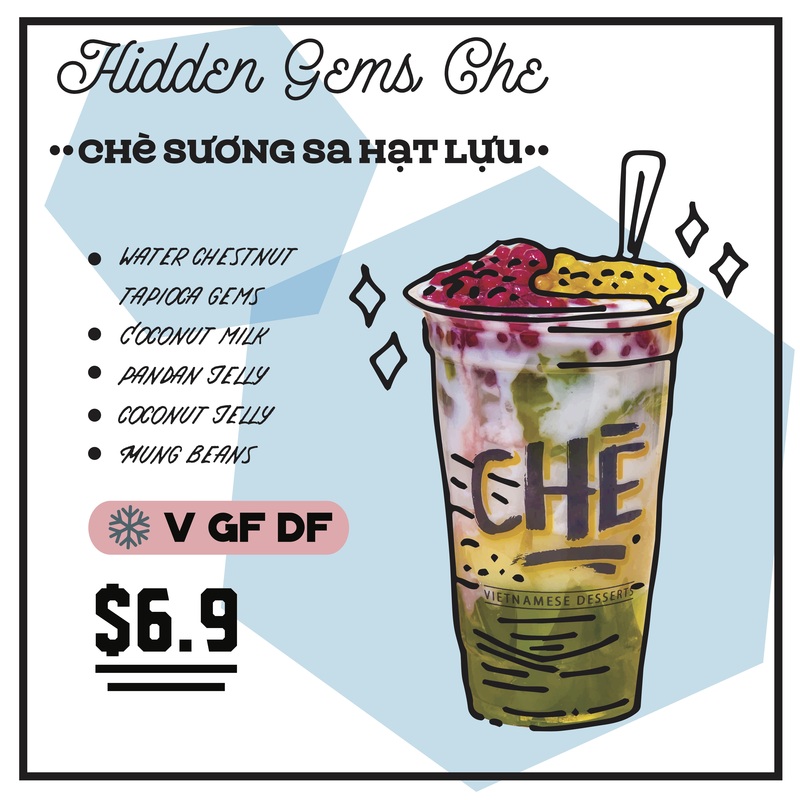 This Che is dedicated to the edible red gems that are made from water chestnut coated in tapioca and dyed by beetroot extract. It’s both crunchy yet lightly chewy and very fun to eat. Those gems go real well with a collection of home brewed algae-based agar jelly. The classic duo of mung bean puree and coconut milk is the vegan’s response to custard and cream and makes this Che so smooth and so drinkable.